"I thought the door was open," says Daniel Smith, a 24 year old psytrance DJ and recovering meth addict. "Patio doors shouldn't be see-through. They should be shaded or feature checkered patterns or something. I'm lucky I didn't cut myself when I walked into that door. I could have been seriously injured." 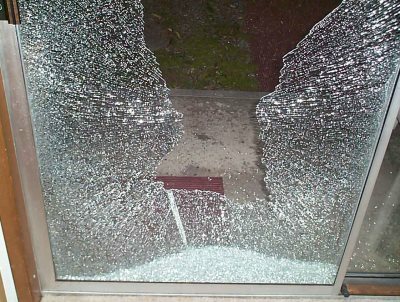 According to statistics released by Health Canada, every year hundreds of ravers walk into glass doors, causing them to shatter. Some of these ravers, like Daniel Smith, walk away unscathed. Many however, do not. In some cases, the consequences can be deadly. In 2009, a partygoer in Vancouver died of lacerations sustained to her wrists after she walked into a glass door at the Barnaby Club. "My run in with that glass door happened at a house party in little Italy" says Daniel. "I was out on the balcony having a smoke, and decided to return inside. It looked like the door was still open." Unfortunately for Daniel, It wasn't. "You'd think a patio door would be solid. Well, they're not. I didn't run into the door, either. I walked into it. Casually." The other party goers were in a state of shock when the door shattered. "Even the DJ stopped playing," says Daniel. "I was so embarrassed. And the worst thing is, everyone blamed me. The host kicked me out of the party!" Daniel didn't take that lying down. "The day after the party, I was so angry, I contacted my lawyer. I'm going to sue the company that made that patio door," says Daniel. "Transparent doors shouldn't even be legal. They're a public safety hazard. How many people have to die before the government acts? I hope my lawsuit will nudge our politicians into doing the right thing."